Divine eau de parfum was one of the first indie perfumes I wore when I was discovering niche in the late nineties. In fact, it was created by Richard Ibanez and Yann Vasnier in 1986, which might explain why it harkens back to the adult perfumes of the seventies. Divine smells of tuberose and peach and incense, and reminds me of the original Chloé, although my exalted memory of Chloé is jaded by smelling the version available now. Or maybe it's my nose that's jaded. Divine is a contemporized throwback, like Acqua Di Parma Profumo or Theo Fennel. Divine's florals lead complicated love lives, led astray by overripe peach, shadowed by spicy mossy musk. It has the rich elegance of Chanel No. 5 or No. 22, but with the aldehydes turned down and creamy-sweet fruit turned up. I used to wear the eau de parfum in the furnace heat of Los Angeles Indian summer, and the aridness of the atmosphere set off the muggy glamour of the perfume. Aswirl with Divine, I was plunged into a fantasy decadence, an emotional Studio 54. When my original bottle of juice tipped over and impregnated the wooden floor of the Laurel Canyon castle where I was living, that was the end of my smelling aspirationally louche. Studio 54: loucheness fully actualized. I've always wanted to get back to Divine, to that sweet/sour spot of yearning for an idealized grownup world of cocktails and Halston gowns and beautiful melancholy, soundtracked by Joni Mitchell's The Hissing of Summer Lawns and Sergio Mendes & Brasil '66. I had my chance when friends mentioned in passing that their French holiday flat in Saint Malo was a few floors up from a perfume shop: Divine. I made inquiries and was delighted to receive a bottle of the most divine version of Divine yet: Divine parfum. My inner Studio 54 was back in business! “Nostalgic and feminine”, pronounced my girlfriends who met me for dinner and smelled me before drinks. Georgie was wearing Annick Goutal Le Mimosa, Tiphaine was in Escentric Molecules Escentric 03. Together we were perfume's past, present and future, and we took turns burying our noses in each others necks for deep, appreciative sniffs. The attending husbands were enchanted by the display, bless. Divine smells expensive and cosseting. If the eau de parfum is silk velvet, the parfum is a densely sensuous hammered velvet: supple, lustrous, always changing color with the light. what an amazing moment you captured. As reading it I thought about your scene of meeting friends and smell each other...perhaps laughs in between....what I have always thought scent was about for me...transporting to a moment in your history. thanks Katie as always...love from Mirabelle and I. Always good to hear from you, Michael! Divine edp is gorgeous and I'm sure that the parfum must be even more mouthwatering. I too love the neck sniffing scene, a ritual that often plays out among my friends in various public venues, such as Tysons Galleria. The raised eyebrows and sideways glances are always amusing. It's just primal fumie greeting behavior, isn't it? That, and the more intimate decolletage snuffle. Cybele, there's no relation to 1000. Divine is simpler, less mature, doesn't have a billion (or a 1000) ingredients and animal bottoms. I never tried the parfum. The EDP is gorgeous. I hadn't thought of it as louche, but you're right. All Divine edp luvvas will LUV the parfum. Beautiful writing, Pooka. Now you've got me craving that vibe on my side of the fence, also. ...although another wearer will certainly get a different cast of characters in their bottle of Divine. I adore L'Ame Soeur by Divine in the EdP. Now I'm craving the parfum. See what you've done? Thanks! I see what I've done, and I feel no remorse. Awesome mention of the Joni Mitchell album. One of my summer favorites! I love it love it love it. One of my touchstone albums. Obssessed with the late 70s, as I was born in that era and my earliest memories are of my mother getting ready to go out and wearing Opium. I would love to smell more from that period. Have already tried Cristalle and Halston. Hopefully I can sample this one soon, even in the edp would be nice to sniff. Carolina, the edp will do you right. Tuberose is lovely, and I think it can be worn by a man ( Tubereuse criminelle)-actually anything can be worn by men if Black XS L'Excess is "masculine" and many other cheap candy smelling colognes. I will check this one in Paris. Also, another onorable mention from Divine : L'Homme de Coeur. I bet Dior copied the idea with no shame in their ( actually masterpiece) Dior Homme. 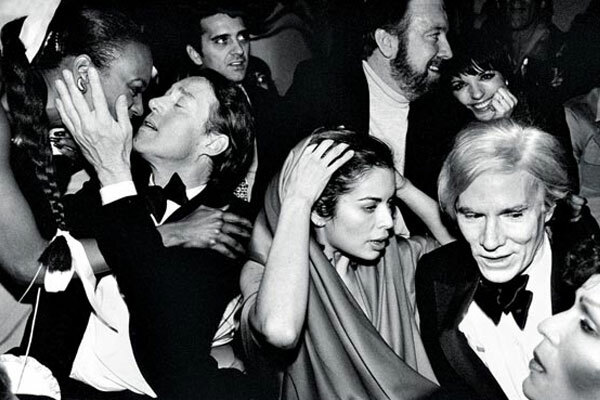 Ah the halcyon days of Studio 54. Well the closest I ever got was Studio One in West Hollywood. But still it was loaded with divine decadence. This Divine sounds utterly enchanting. Your mention of Studio One sent me scurrying to Google to find out more. The search results coughed up names like Pia Zadora and Wayland Flowers Time machine!